Have you been experiencing severe back and neck pain? Have you thought about visiting a chiropractor in Cary? Well, there are many misconceptions about chiropractors that stop people, who experience these terrible perpetual aches and pains, from seeking their help. 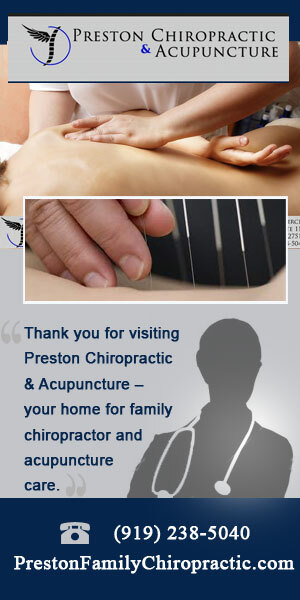 Chiropractors do not just crack your back twice and send you home. There is much more to this than what meets the eye. A chiropractor manipulates the power of the spine to reduce the pressure on various parts of the body such as the head, back, and neck, among others. In addition to this, you will have to apply a few changes and tips into your normal routine. The following will help you understand and quantify just how big of a difference some of the little things can make to your everyday life, do not take these tips too lightly. Postures at work – If you have a desk job then you probably sit down for most of the work day. Sitting down for long hours is a huge source of aches and pains in the body. You might need to consider doing your work as you stand up for a period of time or opting for using the stairs or walking to work. This will help you strengthen your bones and reduce the tension on most of your body parts especially your lower body. Going directly from hours of sitting to moving can result in some pain, work on keeping your body strong and moving on occasion to help eliminate that! Regular stretching- Make sure that you start your day with a proper stretch. Stretching your body after you wake has a positive impact on how your body will operate and feel at the end of the day. Even if you don’t have chronic pain, you should till notice a difference in how you feel at the end of the day. Before you get up from your bed, make sure that you stretch your body. It will relive and loosen all the tension spots before you even begin the day, this will prevent tension from accumulating as you go about your normal daily operations. It can be harsh to go from hours of sleep and no movement directly to being active, that can really stress the body. Refrain from doing sit-ups- An average workout routine that focuses on strengthening the core incorporates sit-ups into the routine. For a person who already experiences pains and aches in the neck and back, this exercise will cause more harm than good. Alternatively, you should incorporate the yoga plank pose into the routine. It involves lying on your stomach on a comfortable surface and lifting your body as you balance on your toes and hands. It resembles a push-up. In addition to this, you could try a side plank to strengthen the other muscles around there that you may not be reaching as well. While sit-ups do strengthen the core, the do so by putting lots of stress on the back. Reduce the time that you spend on your Smartphone- Most people look at their phones when their chins are near the same level as their chest. This makes their necks curve at a c-shape. The human head is about twelve to fifteen pounds. This pressure on the neck causes severe muscle strain. With that said, do your best to hold your phone directly out in front of your face, put the strain on your arms rather than your neck. Looking down as little as a few degrees further will cause significantly more stress on the neck, it’s really quite bad just how often people are looking way down at their phones. Stop leg crossing- When you sit down, make sure that your feet are parallel to the ground. This reduces the possibility of experiencing lower back pain. 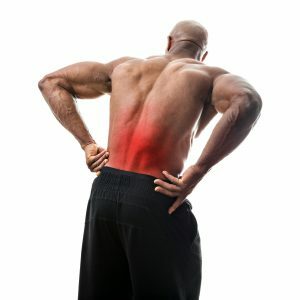 A solid base is always important; the consistency will hurt your back less.